If I cannot raid regularly in 5.4 due to work & life, then I might as well start working on these alts. Getting through the levels is something I can do whilst also being interrupted, and it is not “hard” content to do. The Warlock green fire is appealing and perhaps that alone is enough for my 85 Warlock to get dusted off. I’ve read that the last part of the Warlock green-fire questline is a real challenge and that really appeals. Getting green fire not so much, but a class specific questline, oh yeah – bring it on. There is also an opportunity to have a few 90s for when the holiday special events roll around for Hallow’s End or Brewfest and such, where a beginning 90 can get a nice ring or trinket. Having three Tank classes in those events has always been an advantage. Tetsuo – 13 Pandaren Monk, I wish the Pandaren character models were better. 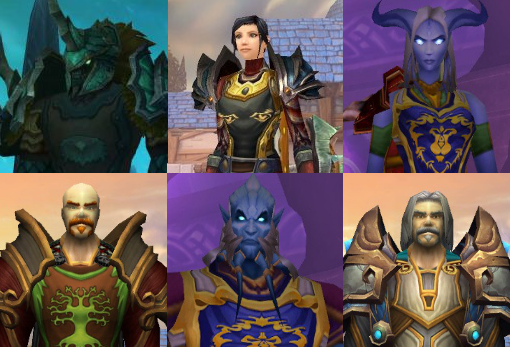 This entry was posted in Death Knight, Druid, Monk, Priest, Warcraft, Warlock, Warrior and tagged 90, alt, character, death knight, ding, Druid, grind, leveling, monk, Pandaria, Player versus environment, priest, shadow priest, Warlock, warrior, world of warcraft by Typhoonandrew. Bookmark the permalink.